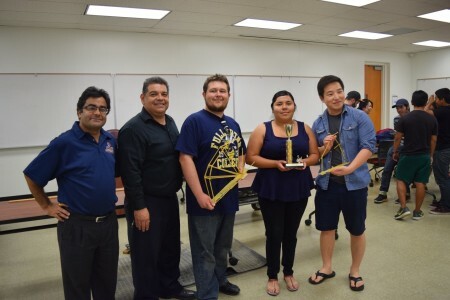 College of Engineering and Computer Science at California State University, Fullerton and the American Society of Civil Engineers, Orange County Branch organized the First Annual OC Spaghetti Bridge Competition. 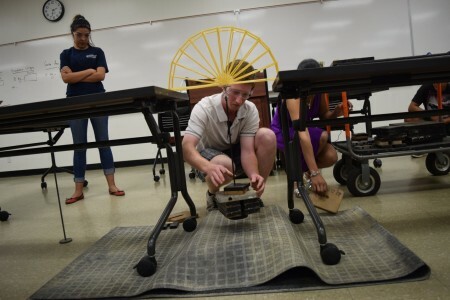 Four teams each from CSU Fullerton, Fullerton College, Saddleback College and Santa Ana College brought their bridges to the competition. Twenty seven students and six faculty members were involved in the competition. A spaghetti Bridge that weighed less than 250 gram (based the design specification) could hold 20 kg of the sustained load, as the winning bridge. 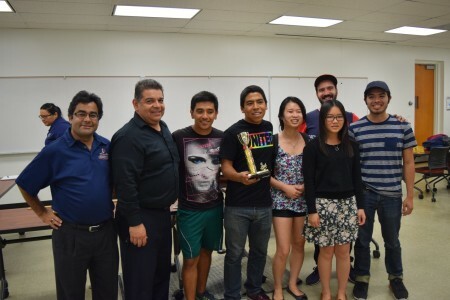 Based on the final results, bridge built by the team of CSUF Civil Engineering students received the First Revolving Trophy by winning the competition. Their bridge could hold 20 kg of sustained load. 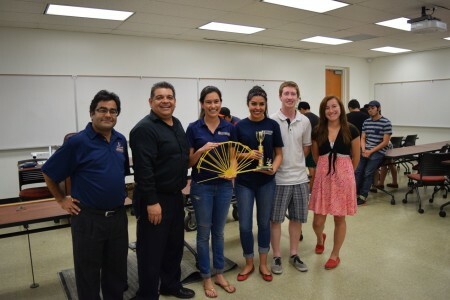 The second prize went to the bridge constructed by Fullerton College students, which could hold 17 kg of sustained load. The third prize went the bridge constructed by Santa Ana College students. Associate Dean of the college Victor Delgado distributed the awards. Next year’s competition will be organized on the First Saturday of May, 2016. All high school, community college and university students are welcome to participate. Fullerton College Students, receiving the second place award. CSUF students receiving the first place award.